Do you want to run ad campaigns on the social network for a high conversion rate? Or Are you looking for the best system that will help you get better results? You may have used Facebook ad tests or Twitter ads, but have you ever advertised on LinkedIn? When it comes to advertising on LinkedIn, most of the people have never even tried it. The big reason is that advertising on Facebook and Twitter was much more comfortable than advertising on LinkedIn. But, here comes the change. 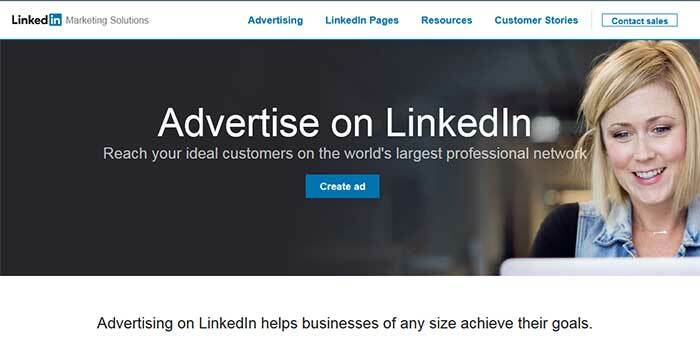 Now, LinkedIn has a recreated ad serving system and made it an easy to use social media network. LinkedIn is the best choice to target the B2B audience. The presence of B2B networks on LinkedIn has made it the most popular professional social network. LinkedIn has recently refined targeting options. Now it is helping marketers to target the specific set of professionals effectively. Want to reach marketing firms? You can target those using LinkedIn Ads. Want to focus on the education industry? You can reach them using LinkedIn Ads. Want to find interns? You can connect with LinkedIn ads. This year B2B option is attracting businesses and marketers to use LinkedIn. This doesn’t mean that businesses are not advertising on Facebook or Twitter, but they will focus more on LinkedIn this year. Notable: There is one thing you should know about the LinkedIn ad network is that the ad cost will be higher than Facebook ads. You must have the right amount of money to play with LinkedIn ads. If cash is not the problem and you are ready to run LinkedIn ads, then you should learn some basic rules. LinkedIn was extremely limited to advertisers. There was no room for advertisers to achieve their goals. But, things have changed in 2019. LinkedIn will keep upgrading its ad system to add more freedom and room for advertisers. Now LinkedIn Ads allow you to create ads based on your target. When advertising on a social network like LinkedIn, you must have clear goals. Website visits and Video Views. LinkedIn ads will cost you more money than Facebook ads. I suggest you first to choose your target and then plan your ad. Be blunt when it comes to choosing ad objectives on LinkedIn. Sponsored content ads work similar to sponsored content. In the sponsored content ad you will be promoting a post or page in the LinkedIn feed. LinkedIn Sponsored content ads have the highest CPC. It is always wise that you only promote pages with a call to action. LinkedIn text ads work directly as other text ads. You can find them on the right side of the LinkedIn feed. One can also see these ads below “People You May Know” section. These ads can play a useful role in conversion. You may need to do some tests to find which work best for you. LinkedIn sponsored InMail ads will display like spam email in the inbox. But as these are under LinkedIn policies so you can boost the higher conversion with these ads. As these ads fall in the inbox directly from the business page or personal profile, the chances are that people find them more exciting and like to communicate with the business. Note: Make sure that you do not copy/paste the InMail ads. As the name suggests, LinkedIn video ads will allow you to promote your videos to the target audience. Video marketing will be one of the most critical parts of the marketing strategy this year. You may need to run tests to find which video ad works best for you. The focus of LinkedIn Dynamic ads is to engage prospects with personalized ads. With the help of dynamic ads, you can personalize the experience according to your audience. You can use this type of ads to capture the attention of professionals. Ads will display their own professional's photo, data, company name, and title. You can also customize the dynamic ads according to your objectives. The main reason brands use LinkedIn dynamic ads is that it allows you to boost the audience and followers for your profile or business page. Carousel ads or native ads are there to attract professionals by telling them an interactive story. Linkedin Carousel ads are helpful for those who want to share their brand story. You can use this type of ads to capture the attention of the target audience. Time to talk business now. Are they working in the same industry? Are they upper management or lower management? Do they have experience of each job between 2-4 years? Do they are in connection with a similar brand or professional? You must know the answer to these questions. LinkedIn is giving invaluable targeting options, but you can only get the results if you understand the demographics of your audience. You can target coffee table people on Facebook, but on LinkedIn, your target should be what they have worked, what they have studied and which option you want to focus. 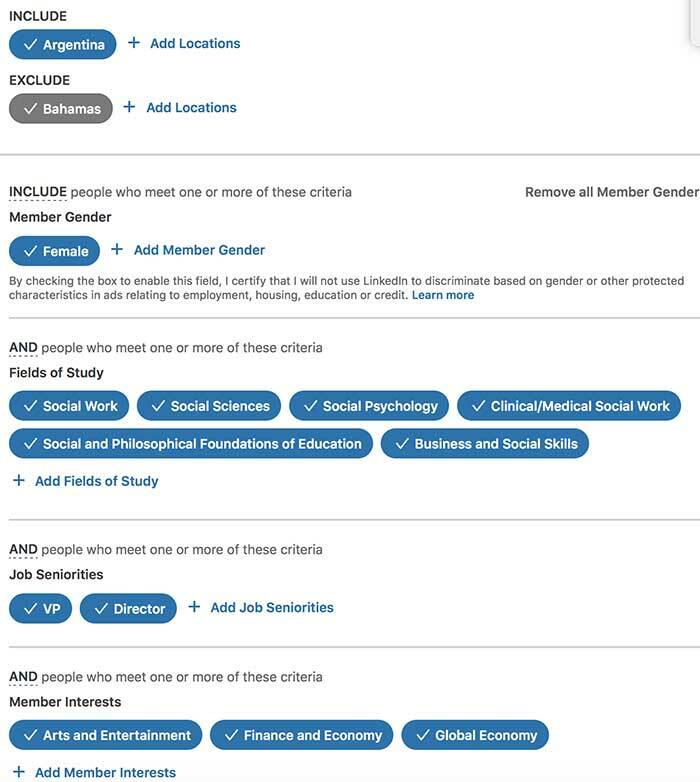 Remember: You can target more than just Founders and CEO with LinkedIn. You can target grown not only people but also target the startups and your entrepreneurs. Graduated or undergrads etc. using LinkedIn Ads. 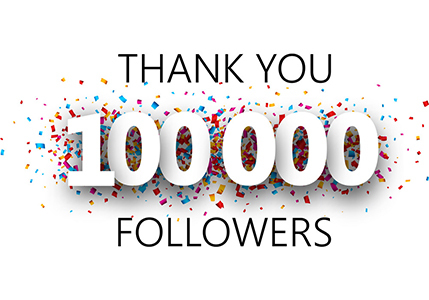 Every minute 120+ members join LinkedIn. 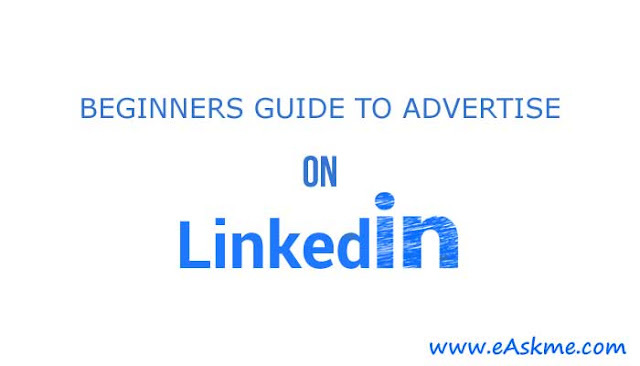 Only you need to know how much success you LinkedIn ad campaigns are getting. LinkedIn ads offer various metrics that you can use to track the failures and success of ads. I am sharing a few of the must-have conversion tracking techniques that you must use. If your goal is lead generation, then you should use event-specific pixel to track results. You can attach. Thank you page with your form. Also, add tracking codes. You must add conversion tracking to your LinkedIn campaigns. Site-Wide Insight Tag is helpful to track the actions on your website. It works similar to the Facebook pixel. You need to add this code on your site, and it will start tracking the behavior using LinkedIn ads. Tip: You can also use LinkedIn re-targeting ads. Linkedin content suggestions will help business pages to discover what they should write about. You can use trending topics, title, and descriptions. Content targeting helps you target the CEO and directors of your competition. All you need is to choose the seniority, industry, and location. 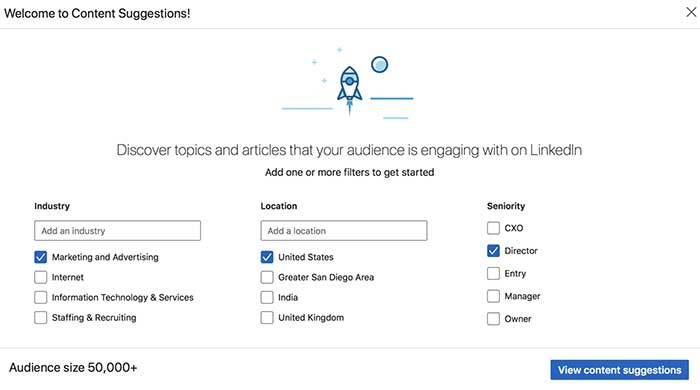 LinkedIn will display trending topics according to your filters. This will help you use the trending headlines with creative ideas. LinkedIn is one of the great options to target the B2B audience. B2B marketers are using various techniques when using LinkedIn Ads. It is exciting to see how LinkedIn is helping marketers achieve their goals and what new features LinkedIn will add. LinkedIn is ready to give more freedom to marketers to increase conversion and success. You have questions? Share via comments. Find this post helpful, don’t forget to share it! If you find this article interesting, don’t forget to share it on Facebook, Twitter or Google Plus with your friends and family. Don't forget to like us FB and join eAskme newsletter to stay tuned with us.